ERM used Do Nation to engage their employees in team based competition, challenging staff to make pledges to try new environmentally friendly behaviours for two months. 55% of employees took part, with 41% saying it made them more aware and proud of what their company was doing to tackle sustainability and over ⅓ feeling part of a community who were making a difference together. ERM is the world’s leading sustainability consultancy: sustainability underpins everything they do. They wanted to ensure that their employees’ behaviours both at home and the office matched the business’ sustainability principles. They needed a solution that didn’t involve imposing strict rules and punishments for unsustainable behaviours, instead looking for an option that allowed them to engage their 400-odd employees in a fun and positive way. 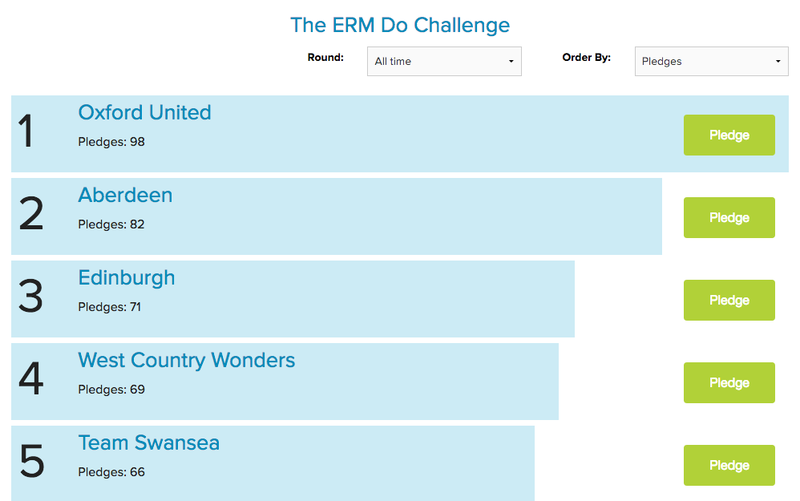 ERM decided to run a competition between their eight UK & Ireland offices, to see which could get most employees making pledges, changing behaviours, and saving carbon. They created campaign pages on Do Nation for each of their offices, assigning team leaders to each to personalise the pages and champion the program. After a launch webinar, employees were invited to make pledges and record them on their office’s page. ERM’s most popular Do Actions have been Step Up (taking the stairs instead of the lift) and Tea Time (boiling the exact amount of water that you need) and Veg Out (becoming a part-time Vegetarian). Each week we sent out updates to help maintain momentum. ERM spiced up the competition offering cake to the winning team – the team with the most pledges per person – each quarter. One of the things that ERM particularly liked about using Do Nation was the ready-made and playfully prepared menu of Do Actions, covering a wide range of behaviours that they could promote to their staff. ERM have continued using Do Nation for over two years taking advantage of the continuing improvements we have made to the platform, for example adding new Do Actions, bringing in rounds to refresh the competition, and introducing water and waste metrics. So far, ERM’s actions have led to annual savings of 74 tonnes of carbon – the same as emitted by 148 flights from London to New York. Carbon is far from the only benefit of Do Nation: 72% of people said they felt an increased sense of wellbeing, and 53% said they felt healthier as a result of doing their pledge. Others saved money, reduced water use, and cut down on waste. With 55% of employees taking part it wasn’t just the ‘usual suspects’ who got involved: 40% of participants were motivated to take part not simply for environmental reasons, but because of the fun, competitive, and social nature of Do Nation. Whilst pledges on the Do Nation are only made for two months, the real aim is to encourage long-term behaviour change. 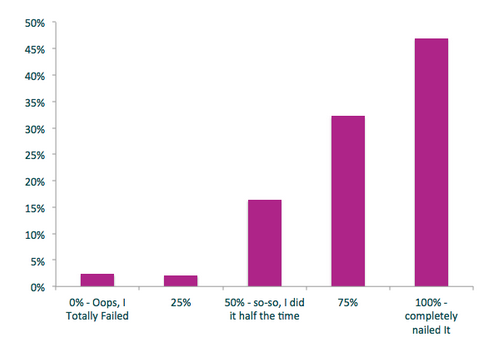 54% of users returned to confirm that they completed their pledge, and 97% of those continued doing it for at least a year. 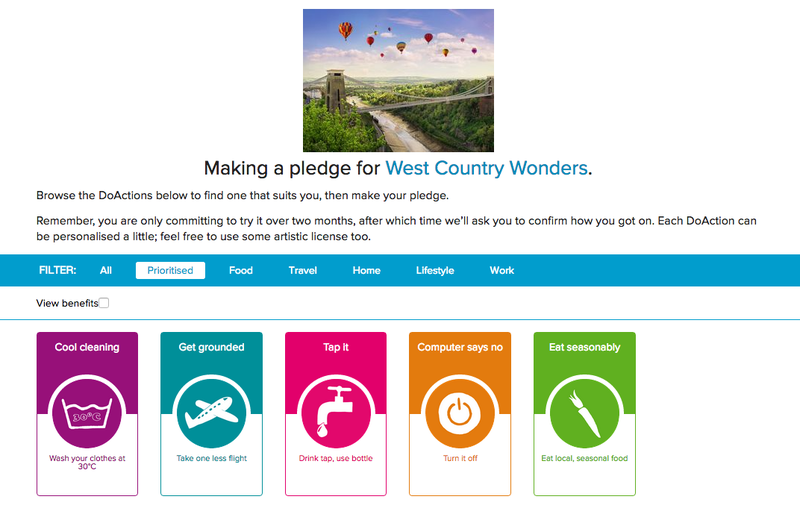 How did you get on with your pledge? ‘Do Nation has challenged our staff to change their behaviour for the better, and to keep doing that in the future’ – Kirsten Berry, Partner, ERM. Give us a call on 020 3773 9249. ← What’s new on Do Nation this month?